Guitar Players--Did You Miss This? Want to take your guitar playing to a whole new level? 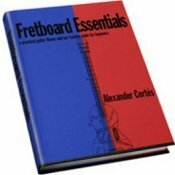 My friend, Alex Cortez, has just released "Fretboard Essentials". Get ready for simple fretboard secrets that will knock you over. I highly recommend that you Visit Fretboard Essentials and give yourself the gift of EXTRAORDINARY guitar playing! We have created a new Twitter page for Almost Free Drum Tabs. Each new tab will be tweeted as it is created so you can see what new tabs are being put on the site. That's all until next month. We hope that you have a wonderful July 4!